Tired of crowded Bangkok? Let's get away together and enjoy the green scenery in Nakhon Pathom! 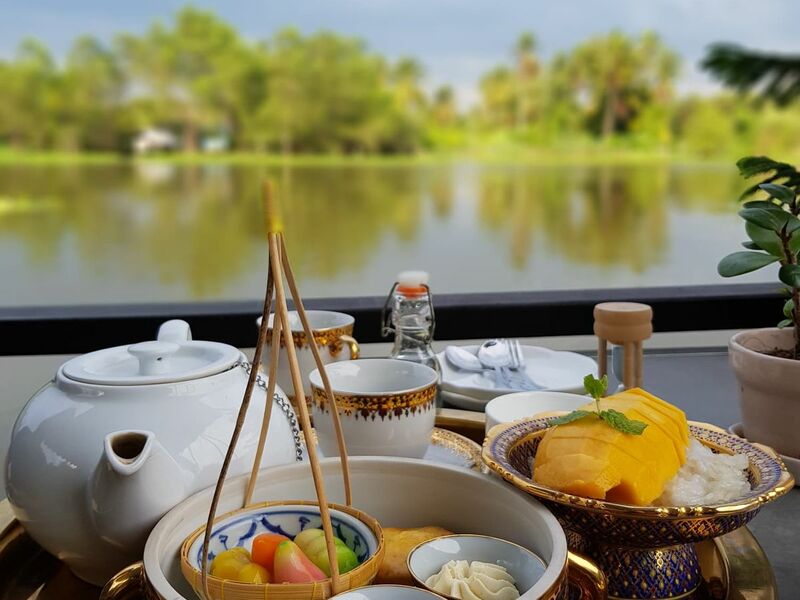 My trip offers you a great relaxation along the Tha Chin River, provides several fun activities, and brings you to eat and shop at the floating market. Arrive at Phutthamonthon Park. You will get to see one of the tallest free-standing Buddha statue, feed the fish, take a lot of photos, and enjoy the green scenery! Off to next destination, Don Wai Floating Market. Arrive at Don Wai Floating Market. There are a lot of local food variety for you to choose here as your lunch. I will let you know what you shouldn't miss! You will also get to know more about local people's life. Off to next destination, Nava Tea Terrace. Arrive at Nava Tea Terrace. You will have a chance to try traditional Thai dessert as well as select a tea of your choice. Enjoy the beautiful view of Tha Chin River. Off to where we picked you up. Arrive at BTS Bang Wa Station or MRT Talad Bang Yai Station. Your pocket money to spend at Don Wai Floating Market. My trip has a unique way of introducing Nakhon Pathom, as I do not only show you the popular places but also a good hidden place where only locals know. Sun-protected products such as sunscreen or cap.